You can now buy quality curtains at Houston Blinds For Less. From tried and true classic and traditional designs to the leading edge high fashion colors and styles as well as specialty shapes, Houston Blinds for Less has the window treatments, including window drapes and curtains, sheers, and complementing blinds, manual or motorized, you are looking for! Our Design Consultants will offer in home consulting and our experienced designers will ensure the window treatments you select complement your home or office perfectly. Curtains Houston Blinds For Less offer will show the enhanced elegance with double turned hems, inspired mitered corners, and detailed sewn-in liners. To complete this elegant collections look we can provide bottom weights that ensure nothing will detract from the beauty of your Curtains. Select a “Timeless” look of elegant fabrics for your curtains, including solids, stripes, prints, sheers and jacquards. You can use a majority of our curtain fabrics for various window treatment types. This enables you to create unique window designs using one or more fabrics. Add coordinated window top treatments and decorative toss pillows to bring more of a designer style your décor. All of our draperies, excluding sheer drapes, include a standard liner that protects the drapery fabric while creating a uniform curbside appearance. The selection of pillows, offered in multiple shapes and sizes, and tiebacks are available with various trim options. 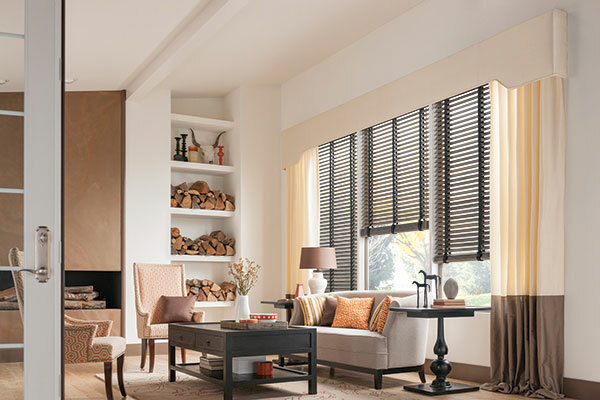 As you decorate, you should expect every aspect of your window to delight you…Even if you prefer a simple streamlined look, you will still find great ideas in the Houston Blinds for Less product line. For additional information about curtains Houston Blinds For Less offer, contact us.